Why is it important to take care of baby (primary) teeth? Your child won't keep his or her first teeth forever, but that doesn't mean they don't need conscientious care! Maintaining your child's dental health now will provide health benefits well into adulthood, as primary (baby) teeth serve some extremely important functions. Baby teeth help with proper chewing and eating and aid in speech development. Healthy baby teeth aid in normal development of jaw bones and muscle and hold space for permanent teeth and help guide them into place. Decay on baby teeth can lead to pain or infection, which can affect their permanent teeth and overall health. Most children do not lose their last baby tooth until about age 12. It is common for parents to wonder why it is important to treat and save baby teeth since they will lose all of them and it is true that the primary (baby) teeth typically are shed between the ages of 6 and 12 years. Yet there are some good reasons for trying to save baby teeth for as long as possible with fillings, crowns or root canal treatment, rather than simply not treating the teeth or extracting all primary teeth with decay. Ideally, we like to treat cavities on primary teeth when they are small. A small, white restoration typically will last the lifetime of a primary tooth and by removing the decay we will prevent it from getting larger and causing problems like pain or infection. If a primary tooth becomes infected, it will need to be removed. If an infection if left, it can lead to problems for the developing permanent teeth and even systemic health problems. If a tooth needs to be removed, we will evaluate the area for placement of a space maintainer to hold the space for the developing permanent tooth. Even though space maintainers don't fully restore the tooth's functionality, they can help prevent future orthodontic problems from early tooth loss. 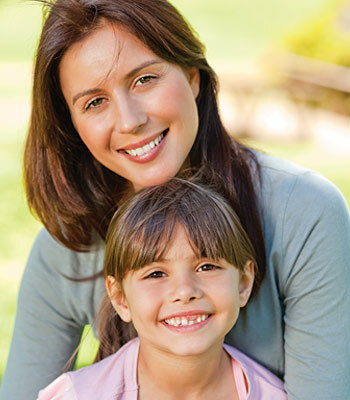 For more information on Baby Teeth, call Longmont Pediatric Dentistry at 303-776-1194!